This rail served, industrial property is located at the corner of Greg Street and Southern Way in Sparks, Nevada. With 225,515± sf and more than ample power available, this building can accommodate a variety of space needs. Recent renovations to Southern Way include upgraded T-5 lighting, interior paint, new carpeting in offices and updated landscaping. Our market is currently experiencing a 'Flight to Quality'. Class A product is getting most of the attention while the Class B and C product await interest. We are seeing existing tenants taking advantage of low rental rates to upgrade their building, as well as new tenants to our market focus on these same Class A buildings. If activity stays up, the Class A inventory could tighten quickly, which will bring hope to Class B and C buildings. 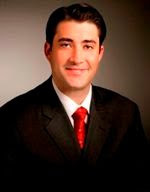 The Office Properties Group welcomes Chase Whittemore, MS to their team as a new Associate. Chase will specialize in office leasing, sales, subleasing, tenant and landlord representations, market knowledge and research. Chase is a third generation Nevadan who graduated from the University of Nevada, with a Bachelor of Arts in Economics. He received his Master of Science in Real Estate and Construction Management from the University of Denver, Daniel's College of Business. In the leasing cycle you have significantly more negotiation power prior to signing your deal (or signing your extension) than you do once you are in contract. Creating competition between landlords to win your business is a powerful tool for achieving a better outcome. Face it, your existing LL is betting you don’t want to move at all, so a deal on your existing space only improves when the landlord believes you have viable alternatives. The downside of this tactic is that finding multiple new spaces, negotiating deals and understanding all the costs associated with each one is a lot of work! There is nothing wrong with making your broker work for his or her commission! BROKER INSIGHT: Landlords are like everyone else, they have different motivations at different times. Let’s assume you employ a broker, request proposals from 3 different landlords and gather the responses. Setting aside the financial factor – one is likely the low cost alternative – other important factors in the deal will demonstrate the LL’s motivation to sign a lease with you. One LL may offer more free rent up front in return for a higher face rate. Another LL may offer a low rate for you to take the space “As-Is”. The final LL may give you 3 or 5 year options with a great TI allowance. Each LL is looking for both a way to differentiate their space from the others and get the highest price they can out of you. Knowing a LL’s motivation at any given time is one of the most valuable insights a broker can give you. Last Tip... How Much Space Do You Need? Mike has specialized in industrial properties since 2004. His leasing assignments included over 4MM square feet of institutional bulk and flex industrial projects. In addition, he participated in over 700,000 square feet of Build to Suit projects on behalf of Landlords and Tenants. Mike’s clients have included: USAA Real Estate Company, Bentall Kennedy, McMorgan and Company, Scannell Properties, Latitude Management, Washington Capital Management, REEF, ING Clarion, Trex Company, and Archbrook Laguna. • Competitive Analysis – How much space does your competition occupy? • Budgetary Analysis – Decide how much you can afford and shop for the best space in that price range. • Demand Analysis – Identify the primary factor driving your requirement for physical space – machines, boxes, employees – and calculate how much space you need. • Strategic Analysis – How much space will your fully realized business model require? Try approaching this question from a variety of perspectives to arrive at the best answer you can forecast. Keep in mind that no forecast is ever perfect. Things change. A 3 – 5 year commitment will be based on the best information you have at the time. BROKER INSIGHT: When a developer plans a project, they target users in a given size range and design the building accordingly. In a normal market, the cost of the project determines the rental rate the owner will accept. A 10,000 SF space in a 30,000 SF Flex Center will likely cost more than a 10,000 SF space in an 80,000 SF Mid-Range Building and much more than 10,000 SF in a 200,000 SF Distribution Building. The foot print in each scenario is the same, but the actual spaces will function much differently. If you involve your broker in the conversation early, he or she should bring insights gained from seeing lots of different types of spaces.